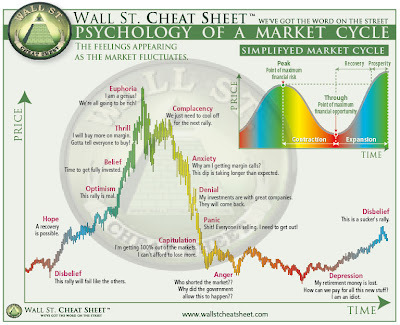 Excellent visual below that shows the psychology of a market cycle. I have discussed in great detail over the past few years the long term secular bull and bear markets we are currently experiencing. The secular bull market is in gold, which began in 2000, and has now entered the optimism phase. This point can be marked when gold crossed over $1,000. It is during this phase when the large money players enter the market with force, (David Einhorn, George Soros, John Paulson) but the public has yet to enter. 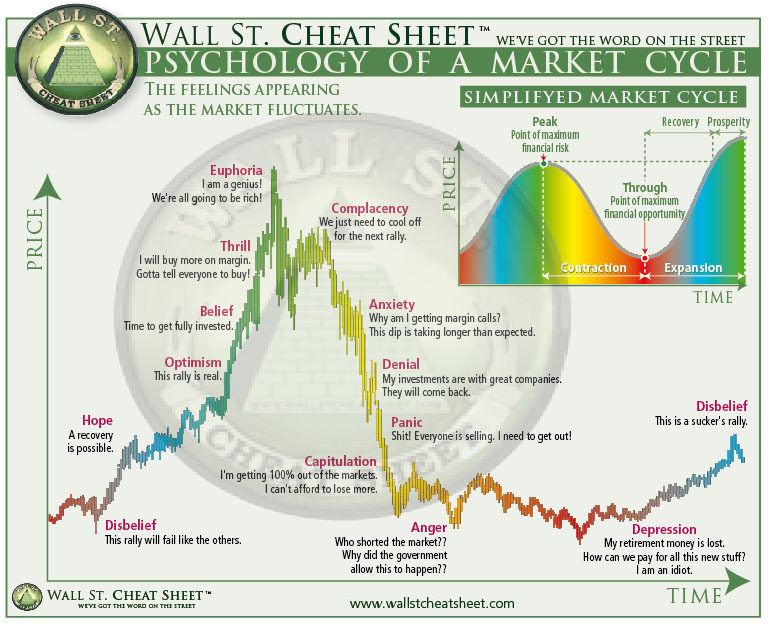 The secular bear market is in stocks, which also began in 2000, and has now entered the anxiety phase. The public is still bullish on stocks and optimistic on the economy recovering, but the large money players are placing large shorts on the market.